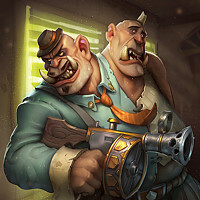 It seems that every round of balance changes ends up reducing the viability of unique and interesting archetypes in order to force the same old same old generic aggro that runs the same busted neutrals. Shuddershaman. Kingsbane rogue. Taunt druid. Exodia/holy wrath paladin. It happens every expansion. 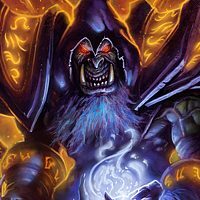 Any unique decks get gutted, so we're stuck with ultrageneric aggro and the most generic control decks the game has ever seen. This happened in knc, this happened in WW, this happened in this expack, and it happened many many other times. Please. The game stops being fun when you gut every FUN deck in the format. 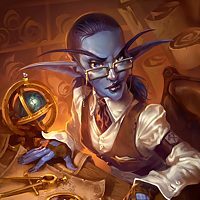 Any unique decks get gutted, so we're stuck with ultrageneric aggro and the most generic control decks the game has ever seen. Both Shudderwock and Holy Wrath paladin are the exact same deck: stall until OTK combo. Conceptually, they're no different than Clone Priest or the Mecha'thun decks. All that is different is the specific "flavor" of OTK they use. shudderwock was not an OTK deck. It was a high skill midrange-control hybrid with infinite late game. it lost to combo and aggro fairly often. to force the same old same old generic aggro that runs the same busted neutrals. 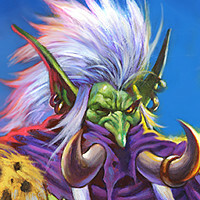 What do you mean by the word ''aggro''. The game doesnt have any aggro anymore. Shudderwock was very much an OTK deck. That was the whole point of 2x Lifedrinkers. I'm not saying it was unfair, necessarily (although as someone who mainly plays Control Priest, I did not enjoy it much). But the whole point of pre-nerf Shudderwock was to stall with SCG/Volcano until Shudderwock could execute its Grumble-into-6-damage-1-mana-Shudderwocks combo. Two of those three also work (at least in theory) against Mecha'thun decks. I don't actually disagree here? 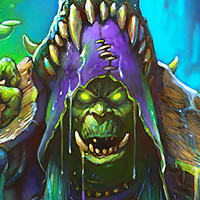 Aggro is needed to the game and it was killed by secret hunter. With spellstone to 6 now secret hunter has a openning at turn 5 to midrange decks exploit and reduce its numbers so it stop to be a all round deck like it was. There new decks being develop also like wall priest so there is a ton of space for new things that we not discovered yet now. ... shudderwock was not an OTK deck. It was a high skill midrange-control hybrid with infinite late game. it lost to combo and aggro fairly often. Shudderwock was a turn to set up and a turn to kill you if done right. The actual kill happened in one turn and the set up turn wasn't like Alex, it was more like Wild Growth. 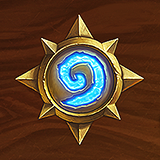 Ramping (including reducing mana costs) isn't something you can stop in Hearthstone. I'm on your side with the general point of this one, but the combo version of shudderwock was very much an OTK. 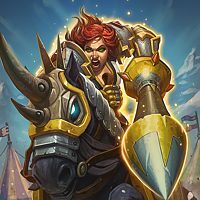 I think many of us agree that Aggro needs to be stronger, and that wouldn't be the case if the answer to everything was not "nerf it". If I understand your OP, we are on the same page there and I just wanted to clarify where others are coming from with Shudderwock. Under that rationale, Mecha'thun Warlock isn't OTK either because you have to take (at least) two turns to set up the combo. Ditto DK Uther decks. 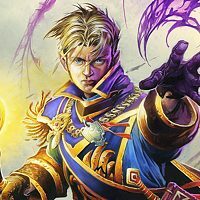 Aggro needs to be stronger? Hell no! There are enough hunters and paladins running the ladder as it is. In fairness Patron Warrior was tougher to execute than Shudderwock Shaman imho. Shudderwock wasn't as easy to navigate your bad matchups as some like to believe but executing against your good matchups was VERY easy. With Patron Warrior you could mess up if you weren't careful so nothing was completely a walk in the park.